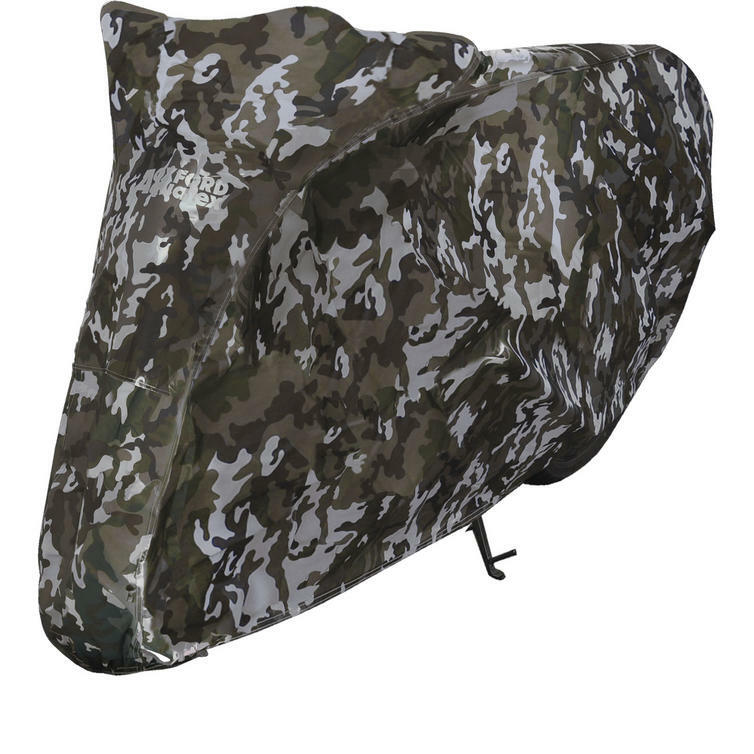 If you’re not lucky enough to have a warm dry garage, then you have a choice of leaving your bike to face the elements or you use a cover like this. 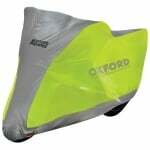 I managed to blag this Oxford Aquatex cover in a recent competition from Helmet City, but it’s readily available for about £20. 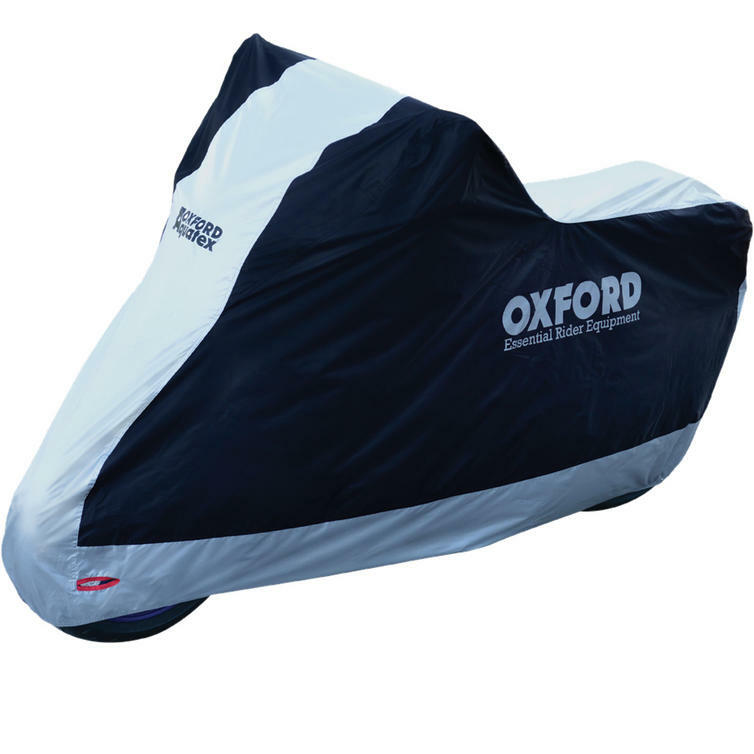 Oxford have a whole load different covers, the Aquatex is one of the most cheapest models. As such, it’s very lightweight and basic with just a single clip strap underneath and some holes at the front for threading a lock. 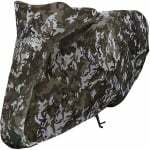 The cover is available in half dozen different sizes, I have the Large, which fits my Fazer (with a Givi rack) well, covering it all, without dragging on the floor such that wet will wick up it. It’s slightly elasticated at the bottom which helps keep it in place, but the clip strap going under the bike means it’s going nowhere. In the worst winds I just found the front wheel slightly exposed. That said, crawling around trying to reach for the strap under the bike can be a bit of faff, especially in the wet or your bike has tonnes of crud on it’s underside. Despite being a thin material, this cover has kept my bike perfectly dry and done exactly as it’s supposed to, even when rain pools on top. The exhaust on my Fazer rarely gets super hot to touch, so I’ve had no issues with having to wait before putting the cover on. However, with no lining on the cover, if your can gets hot I’d play it safe and wait a few minutes before covering your bike. 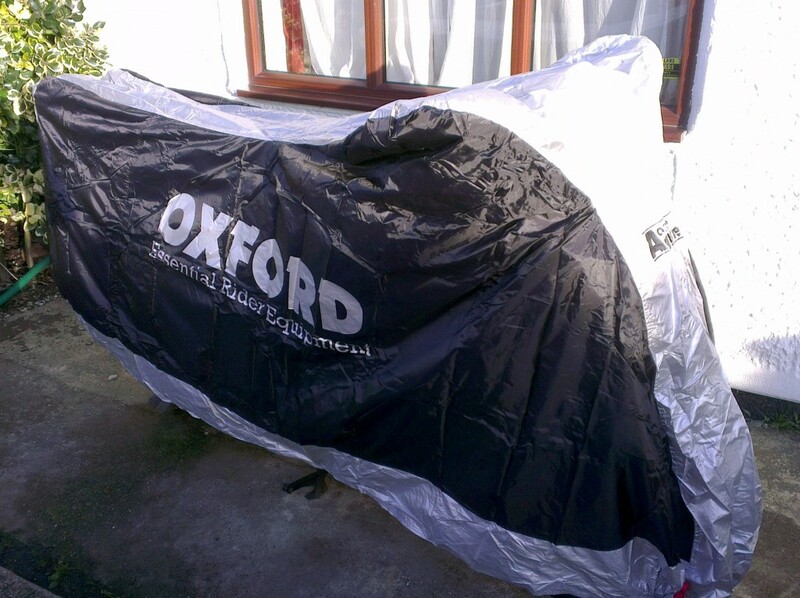 And there we have it, a cheap and cheerful bike cover that does exactly as it says on the tin. Update Aug 2016: From a long term point of view, 18 months later this cover is still holding up alright. Just starting to develop a hole in one corner from the mirror, but other wise still good.